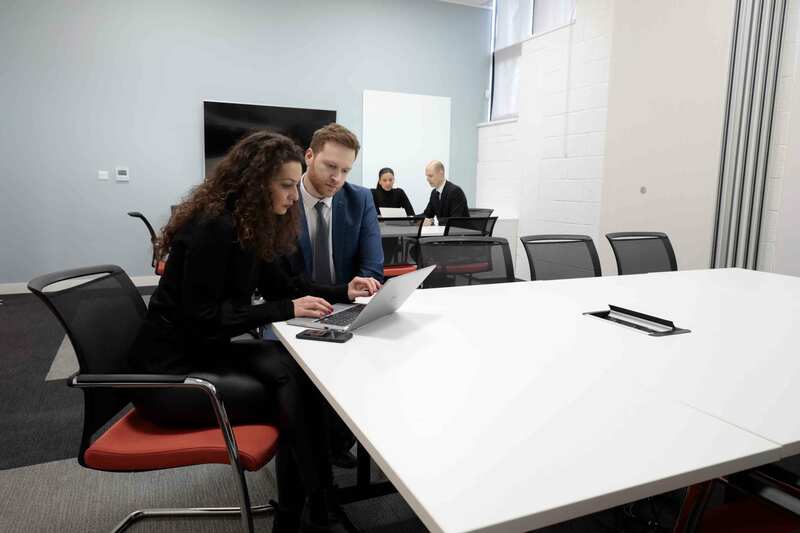 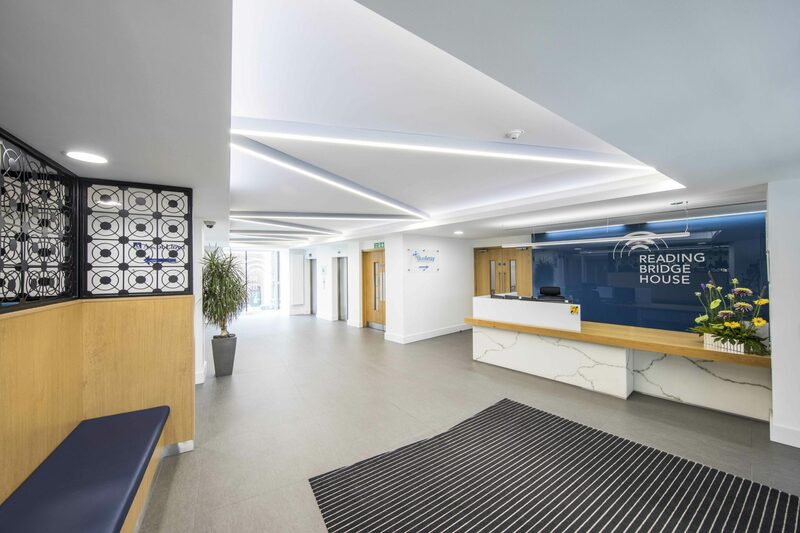 Grunberg approached Woodhouse with the opportunity to design and fitout their new offices. 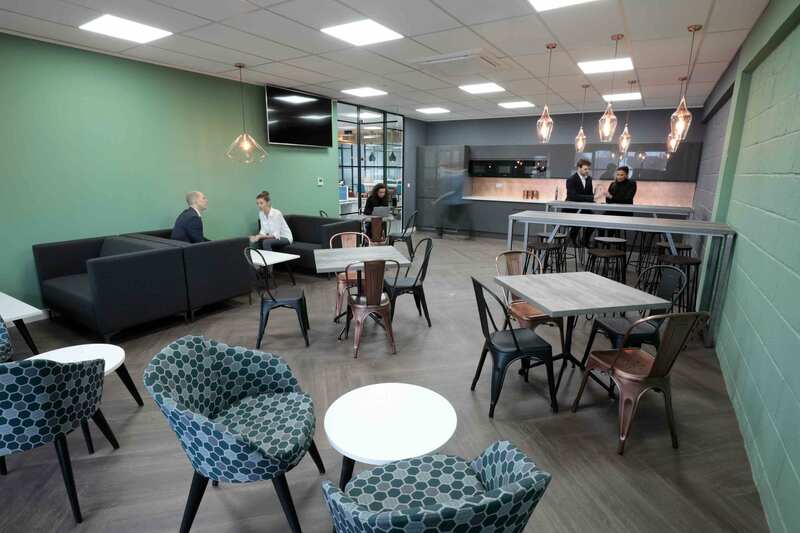 They had outgrown their existing premises and so acquired a 7,200 sq ft development in North London. 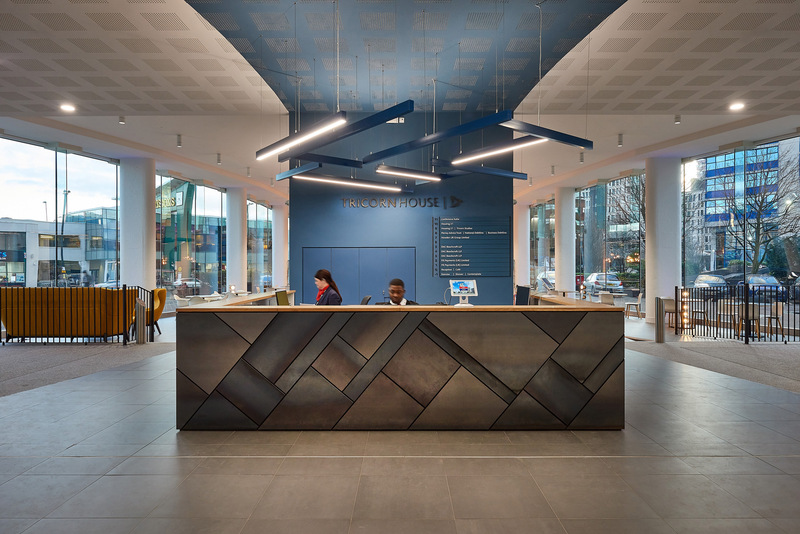 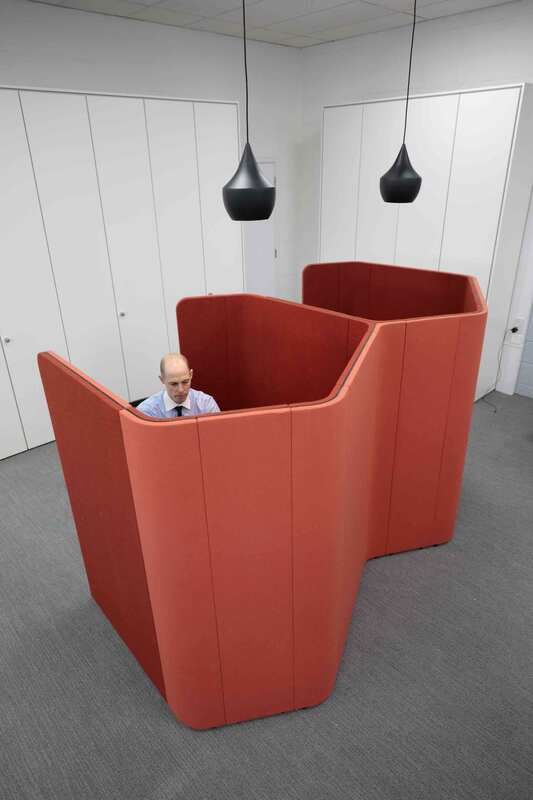 They required a design that would blend privacy for independent working with an open-plan feel that connected the wider team. 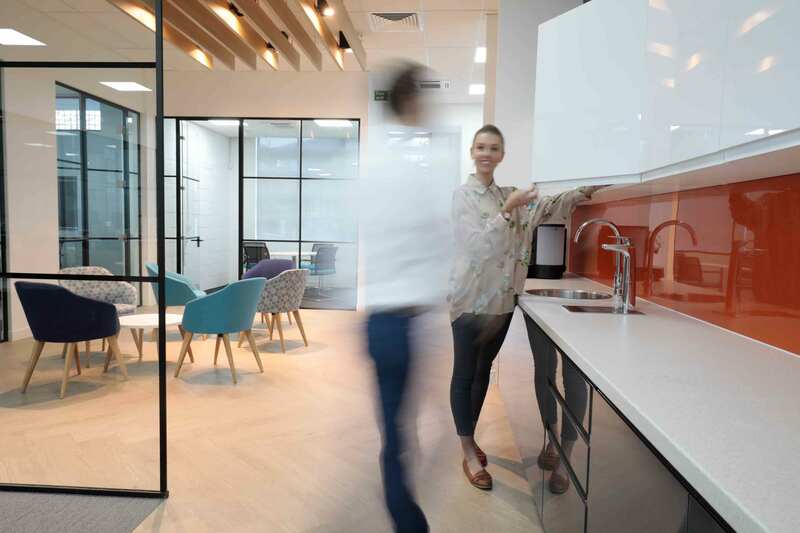 The breakout was also vital in creating a space where employees could truly disconnect. 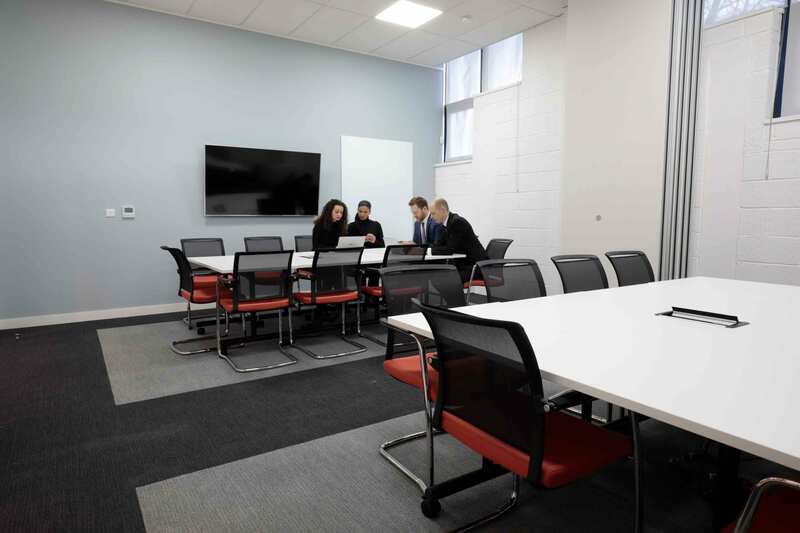 Initially the area presented exposed blockwork walls and concrete floors, with security bars lining the windows. 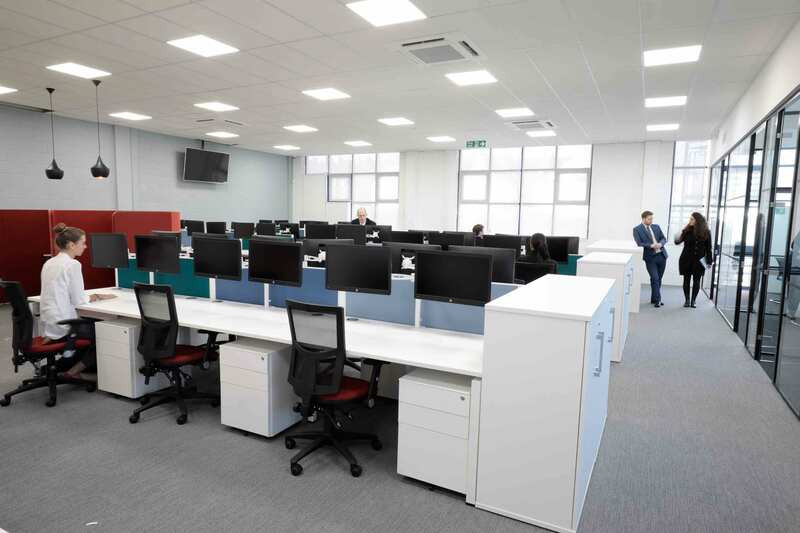 The first step was to remove the security bars and cut the concrete floor to enable heating, ventilation and air con services to be installed and a blank canvas was now ready for the fitout. 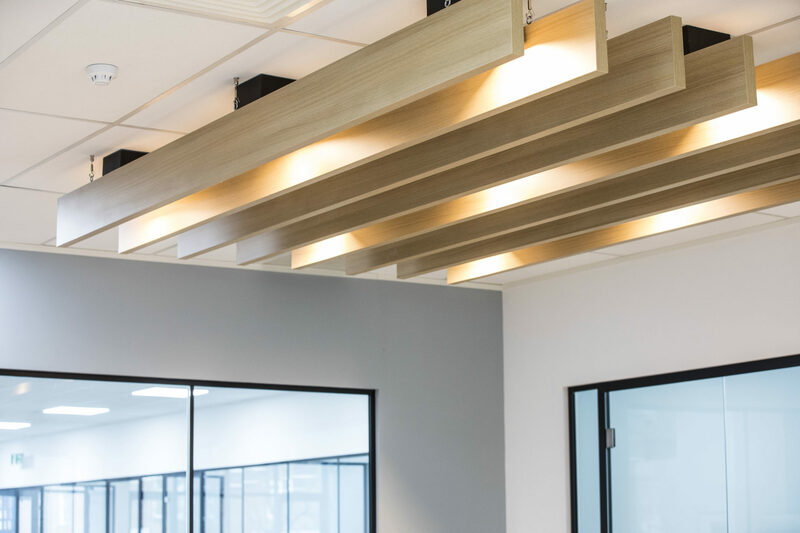 Woodhouse designed an office for Grunberg that was professional and functional. 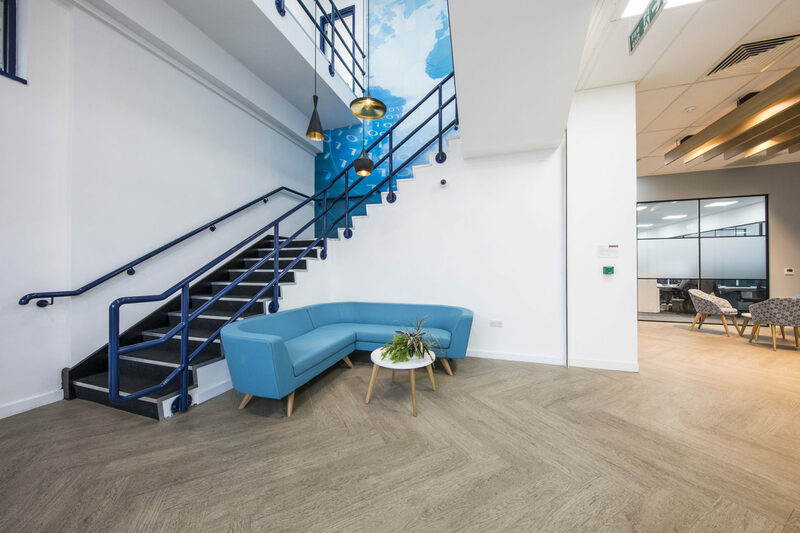 The entrance created a welcoming presence and a lasting first impression, with the use of large branded manifestations on the staircase walls. 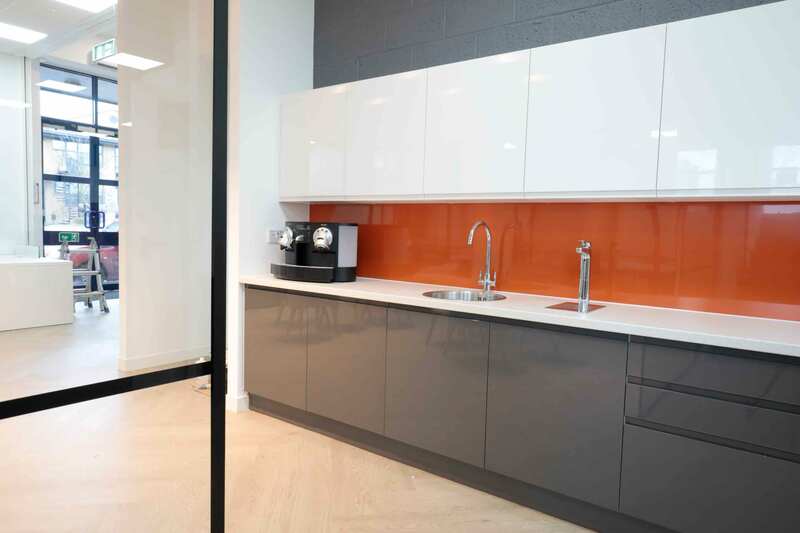 The office featured crittall look glazed partitioning that achieved an open-plan feel whilst accommodating privacy. 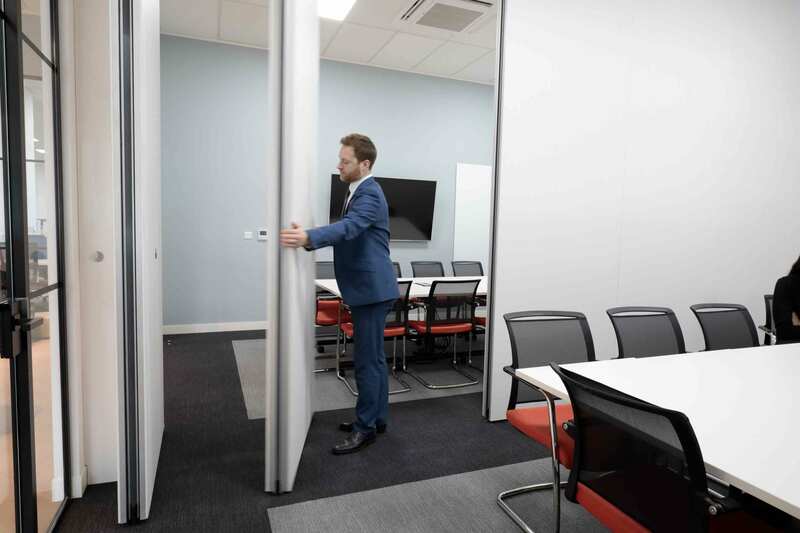 Folding walls were fitted into the meeting rooms to provide flexibility in the use of the space. 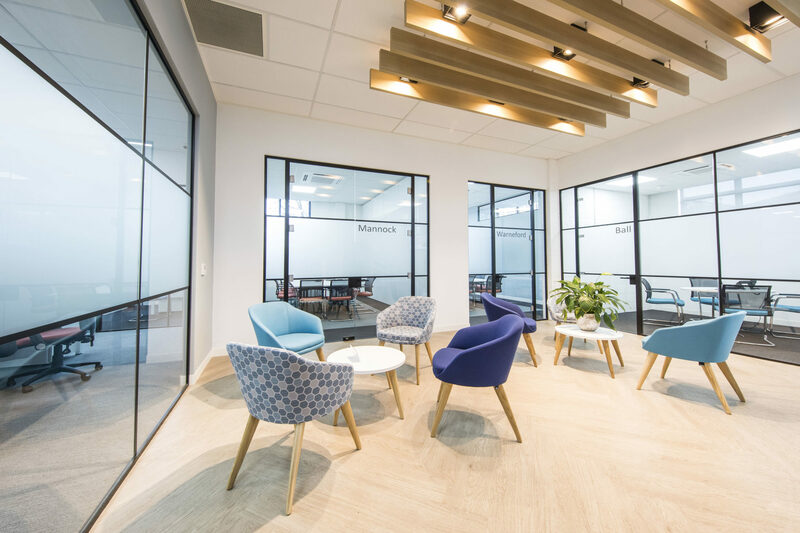 This gave the option to completely open up the area for corporate entertainment and events. 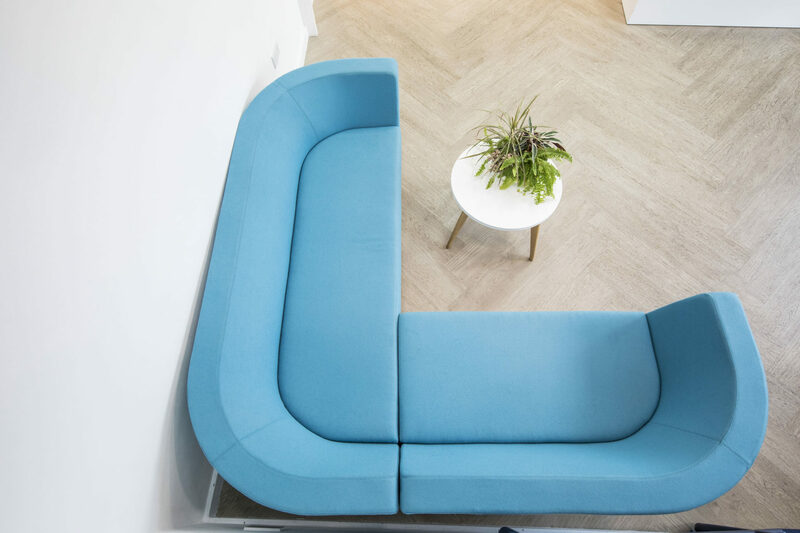 A key part of the design was the breakout. 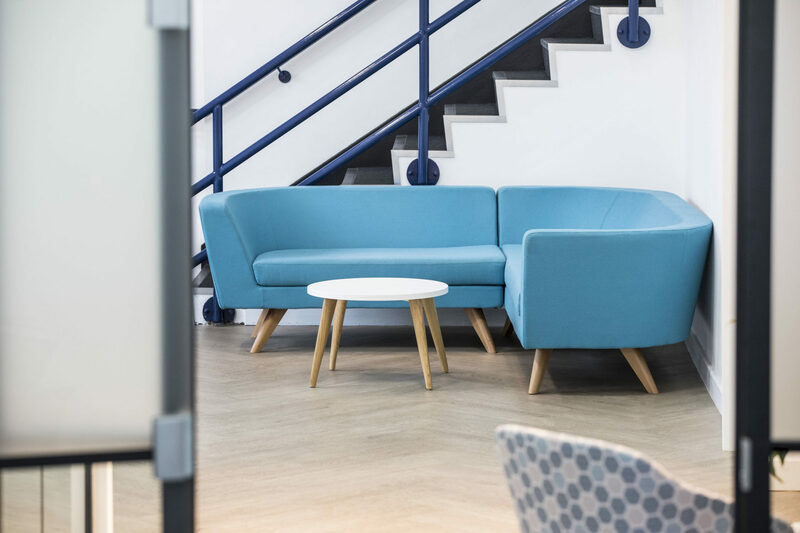 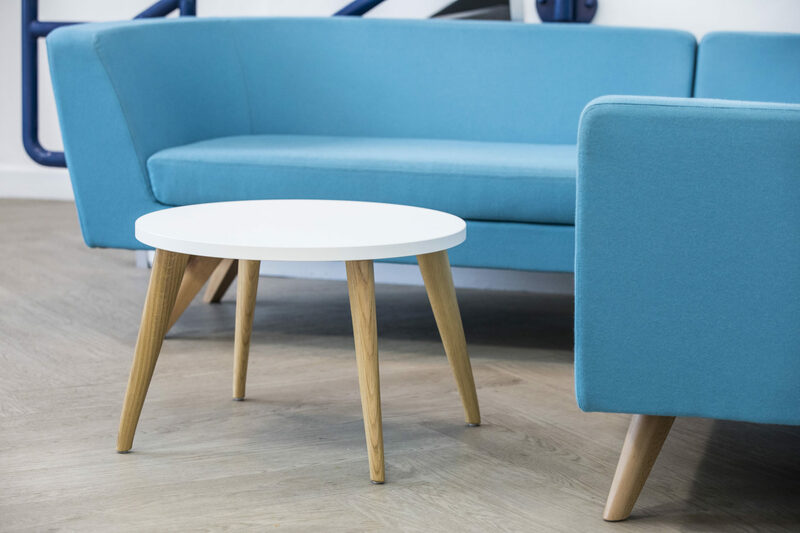 Woodhouse created a lounge area that was completely stylised away from the Grunberg branding. 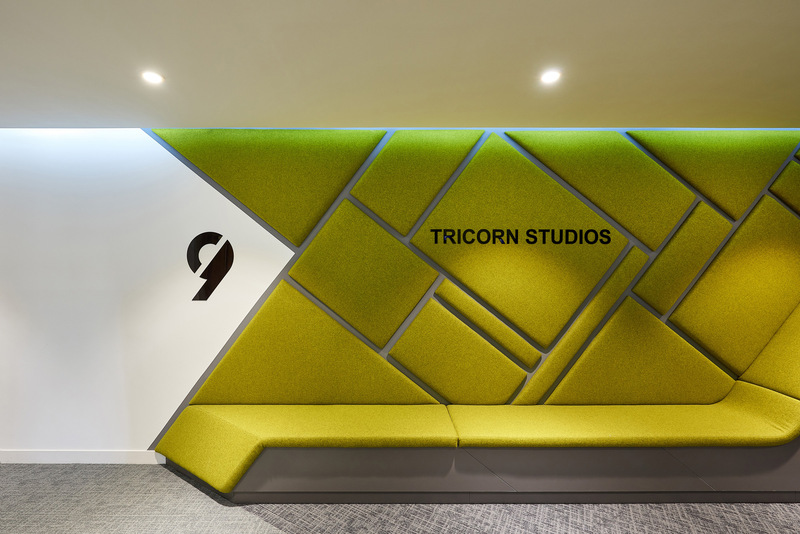 The colour green encouraged a calming atmosphere, with darker tones complimenting this. 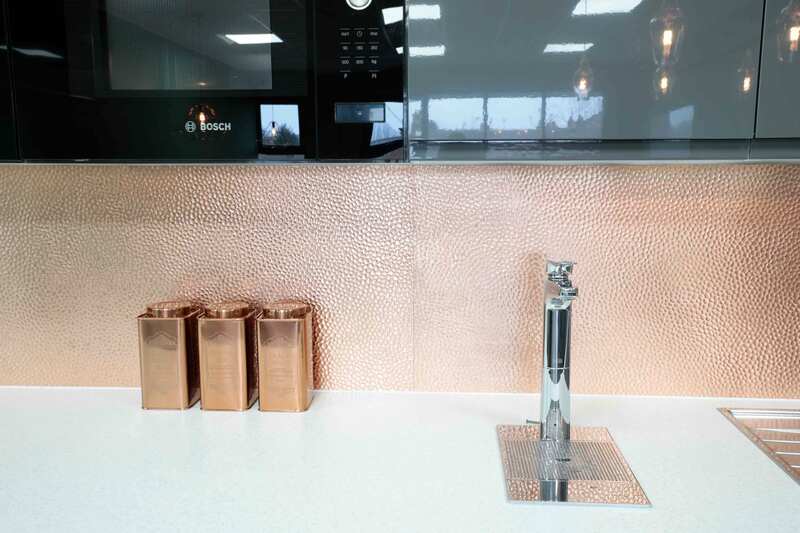 It included copper splashback panels which gave the kitchen a modern edge and a unique finish. 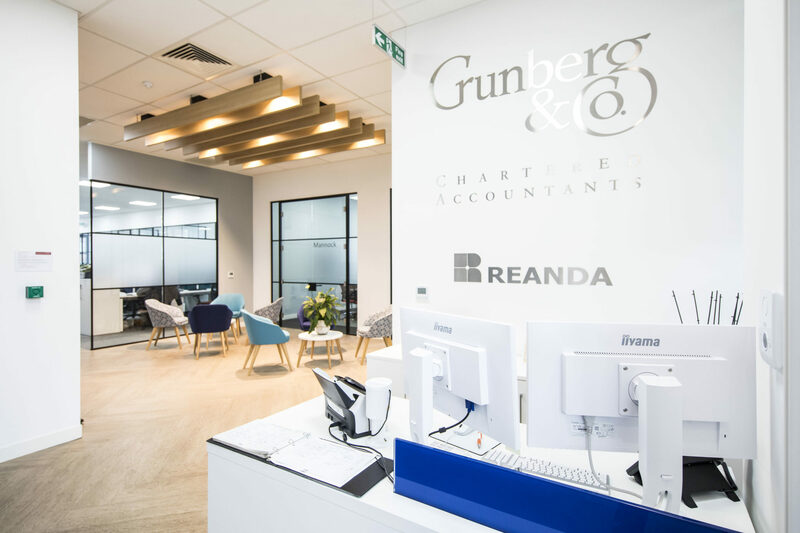 Overall Grunberg are extremely happy with their offices and the drastic transformation. 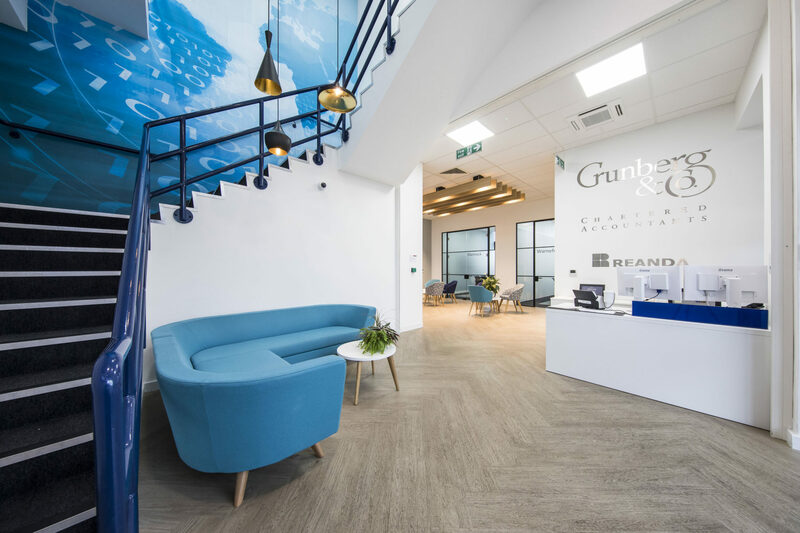 Watch Robert Bean, MD of Grunberg & Co, discuss their office fitout with Woodhouse Workspace.